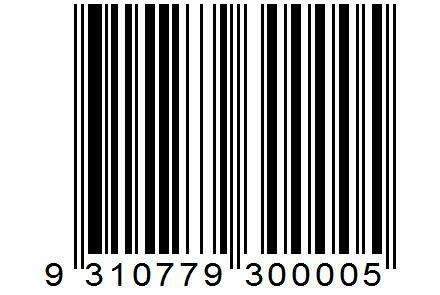 If you import or manufacture products and don't have a barcode on the retail package Barcode Datalink can help you in several ways. Where do I get an Australian EAN13 barcode number? Once you have your EAN numbers Barcode Datalink can help you. Same day service and the EAN barcode is delivered to you via email. Your graphic designer can then incorporate this image into your packaging artwork ready for full colour printing. Adding a barcode to the product in this way is the most cost effective and looks the most professional. Just in case we still offer bromides and film masters. Get us to print you 1000, 2000 or more labels when you are starting out. It is the quickest and easiest way since you don't have to invest your time and money in a barcode label printing solution. Just email or fax us your products and the quantity required, the label size you prefer and they will be ready usually same day ready for collection. Depending on the number of labels you need to print and how often, as well as expected potential growth, will dictate which on demand label printing solution you should invest in now. If you only intend to print small runs of labels now and then, the Zebra LP2844-Z or TLP2844-Z printers will do the job. Please note that if you wish to print a 100% EAN-13 barcode you will need to buy a 300 dpi printer, such as the TLP3844-Z. You can print labels up to 102mm wide (4") and doesn't take up much desk space. If you intend to print only a few label formats you can use BarTender Basic Edition which does not allow access to a file or database. 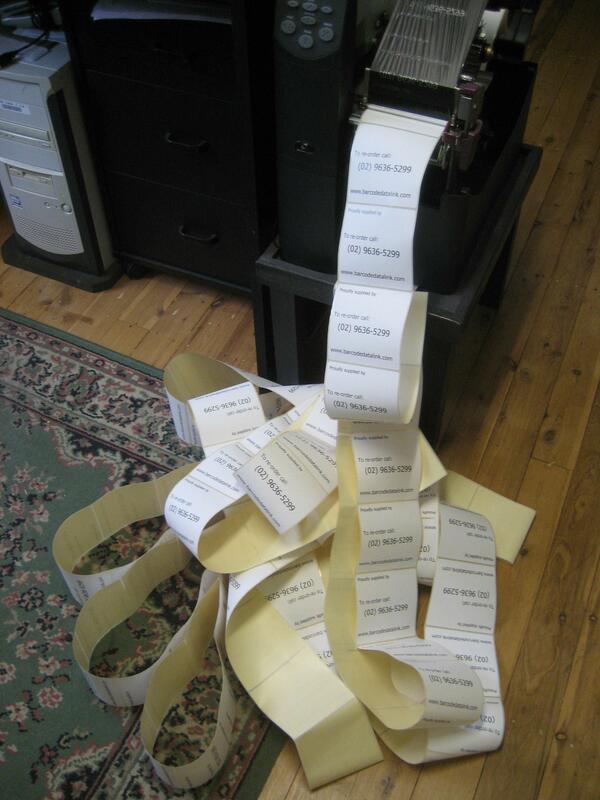 Note that large print runs will have to be wound by hand. If you have a huge product list, then BarTender Professional is highly recommended. Depending on the printer you select and which version of BarTender you go for these solutions cost somewhere between $1000.00 and $2000.00 (ex gst). Our most popular label printing solution is the Zebra ZM400 printer with BarTender Professional. The ZM400 is a mid-range printer capable of printing 1000's of labels a day. 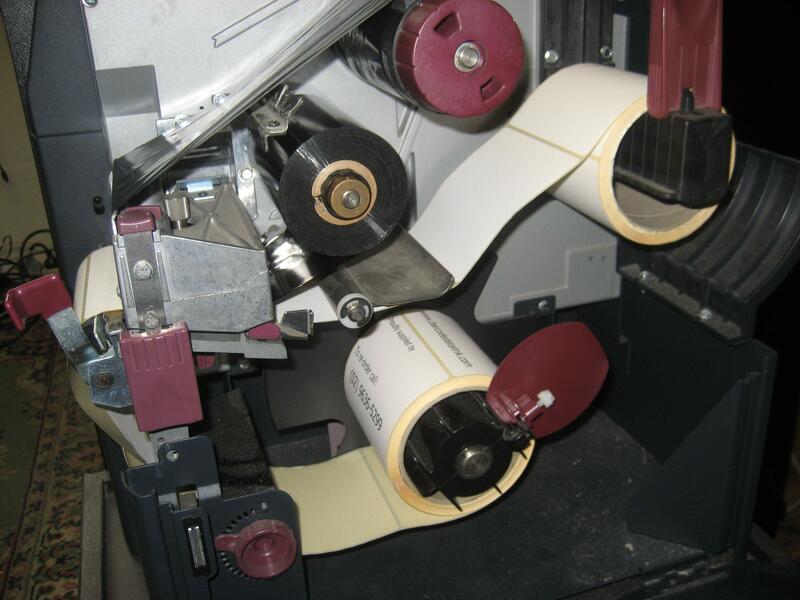 Coupled with an optional rewind unit means you don't have to stand there winding labels onto a core by hand. This printing solution will cost you less than $2999.00 (ex gst) including installation and training (Sydney only). No longer is the ability to print labels on the move out of reach of small business. 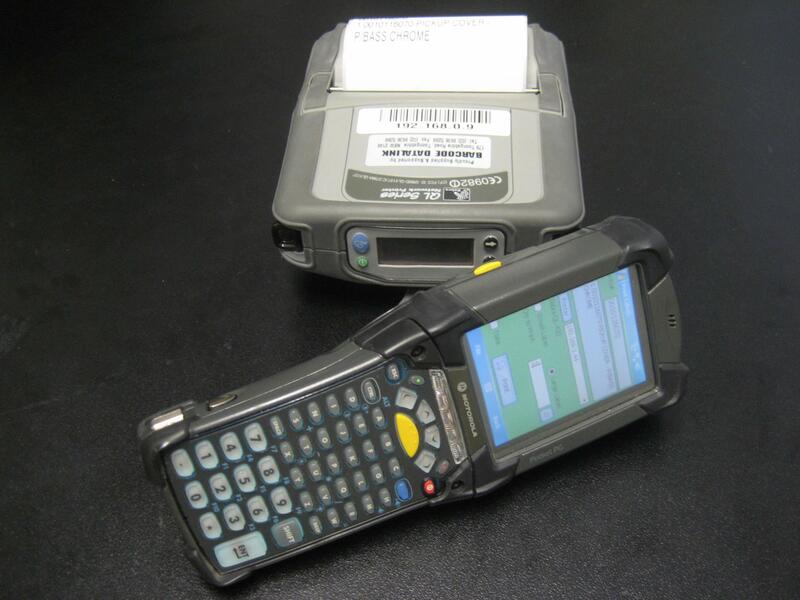 Barcode Datalink now offers a true wireless mobile solution that combines a Motorola mobile computer with a Zebra mobile printer. What has been missing is easy to use low cost software. Our competitors can sell you a mobile computer or a mobile printer but that is only half the solution. You are left with endless searching for some software to tie the two together. ScanTrack Systems Inventory & Warehouse Management 'Software As A Service' (SaaS) solution finally ties a mobile computer to a mobile (or desktop) printer wirelessly - Bluetooth or RF. No more 'batch' mode and uploading/downloading files to and from the hand held device. For customers with older equipment that is not Wi-fi enabled we do have batch applications written for Windows Mobile 5/6, Pocket PC2003 and Windows CE4/CE5 mobile devices. Printing will have to be via Bluetooth from the mobile computer to the Zebra printer so make sure both devices have Bluetooth. Watch a video on how to use STS to print a label. ScanTrack Systems (STS) is an online solution so you don't have to be in Australia to use it. The application is online and available from any PC connected to the internet. The mobile application is designed to work with Windows Mobile 5/6 and CE5 devices. The CAB file can be installed on the mobile computer wirelessly via the web browser on the device. That is all you have to install. Everything else is online now....simply contact us and register for your free 30 day fully functioning trial. You will be able to receive goods in, put them away, move them around and send them out. As well as print labels wirelessly on demand. All you need is the right equipment and a broadband internet connection.